[...] but a folk song is born differently from a formal poem.Poets create in order to express themselves, to say what it is that makes them unique. In the folk song, one does not stand out from others but joins with them. [...] It was passed from generation to generation, and everyone who sang it added something new to it. Every song had many creators, and all of them modestly disappeared behind their creation. No folk song existed purely for its own sake. It had a function. [...] all (songs) were part of a collective rite in which song had its established place. This is true of folk songs everywhere in the world. These songs had specific functions, significance and meaning for folks who sang them. Yet, Folk songs remain essential to Kashmiri way of life. The way in which these songs are being sung has changed. Folk songs still exist but you can now hear them on VCD/DVD produced especially for mass consumption. Naturally, purist sneer and they wonder: what happened to the genuine kashmiri folk songs? But, most people are happy knowing that these songs still exist and are sung, and hope that maybe the 'scene' is better in rural areas. Dance or Ruf songs: groups of girls or women stand in rows, facing each other, women in each row interlink their arms around each other’s waist, moving forward and backward, they sing these songs. Pastoral songs: there are two type of such song, one sung by Kashmiris and the other by Gujjars (a separate ethnic group ) in their own dialect. Spring songs or sont gevun: Songs celebrating the coming of spring season. Wedding songs Wanwun: Common to both Kashmiri Muslims and Pandits, but Muslim songs have more Persian words while Pandit songs have Sanskrit vocabulary and some Vedic chants. Some of the best songs are sung on the night of the henna known as Maenzraath. Among others there are songs from the folktale about the legendary lovers, Himal and Nagiray. Opera songs or Baand Jashan: songs performed by the traveling band of folk theater (Bhand pather) artists known as Bhand. Salman Rushdie gave them a new literally life in his novel Shalimar The Clown. Dancer’s songs (Bach nagma Jashan): Usually meant for occasions like marriage or other big festivity. A particular band of musician performs these songs accompanied by a lithesome (at times, effeminate) boy/man who dances comically attired like a woman. To listen to a real beautiful dancing girl hafiz-nagama would have to be arranged. Sacred Thread ceremony songs (Yagnopavit gevun) for Kashmiri Pandits again have more vedic chantings. In an almost equivalent ceremony for Kashmiri Muslims, there are separate songs for the circumcision ceremony. There are also Cradle songs, lullaby (lala’vun) and ditties for children( most popular Kashmiri ditty: Bishte Bishte Braryo, khot’kho wan). An interesting thing to note is that with the passage of time the mystical poem hukus bukus telli wann che kus (Who’s he? Who are you? Now, tell me who am I?) by Lal Ded, the great poet-saint of Kashmir, morphed into a popular nonsensical childrens' ditty Akus Bakus Telivan Chakus. Dirge or Van: recited in chorus by women of the family after the death of an old persons. Then there are folk songs that depend on the occupation of the person singing them. There are songs of seed-sowers, harvesters and laborers doing their daily hard work. There are songs for workers involved in creating delicate embroidery weavers and makers of exquisite Kashmiri Ka'leens, creators of papier-mache. There are songs sung by saffron reapers (usually women), shepherds, village belles fetching water (some of Habba Khatoon’s lol songs are popular in this category). In Kashmir farm work like grinding, spinning yarn and stacking paddy are performed by women, unlike many other places in the India subcontinent, they also do sowing and harvesting, and they sing different song while doing these physically daunting tasks. 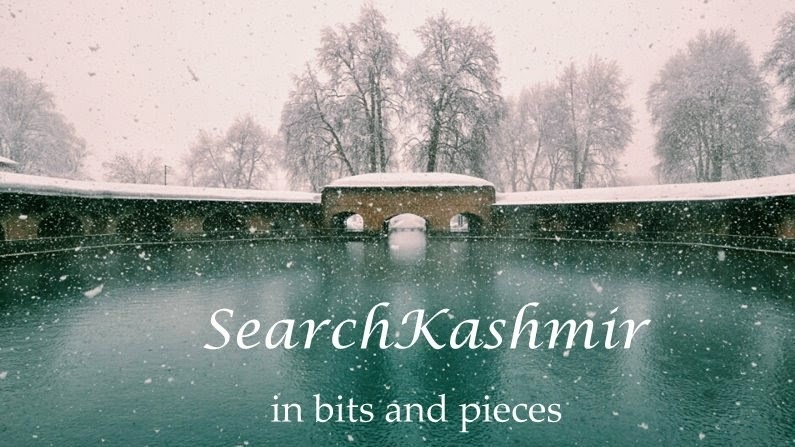 Some of these are songs about the waters of Jhelum, songs of saffron fields of Pampore and song about Chinar. The list is based on the excellent work titled Folklore of Kashmir (1945) by Somnath Dhar. 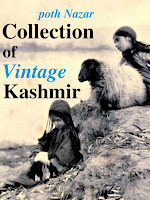 It can be found in the Encyclopaedia of Kashmir by Suresh K Sharma, Shiri Ram Bakshi. S---t, it probably seems like i am stalking you!! hukus bukus telli wann che kus (Who’s he? Who are you? Now, tell me who am I?) by Lal Ded, the great poet-saint of Kashmir, morphed into a popular nonsensical childrens' ditty Akus Bakus Telivan Chakus. It's okay i guess. Thanks for all the comments! Happens every now and then, someone comes across my blogs, spends hours going through it and find themselves pressed into leaving comments. I was googling HAENZE , the song sung by elderly ladies in marriage etc . I heard it was a Naag Hymns coz we are Naag Descendants . Can any one help me in finding the lyrics of Rashid Hafiz saab's "Zindi paniyi....." in english script. Any idea where lyrics of our folk songs are available in english script. I will be highly thankful. With regards to all. Writing about Kashmiri folk but you have no authority to demean old poetry like u have said Quote-An interesting thing to note is that with the passage of time the mystical poem hukus bukus telli wann che kus (Who’s he? Who are you? Now, tell me who am I?) by Lal Ded, the great poet-saint of Kashmir, morphed into a popular nonsensical childrens' ditty Akus Bakus Telivan Chakus.Unquote from above passage. Let me apprise you that O Kus Bo Kus Tilvan Tsokus is a meaningful verse not what few people demeaned it out of their sheer ignorance. So, if one has authority, one can demean? Those lines of mine that you quoted are meant to emphasise a point that I wanted to make: Hu Kus, Be Kus survived and reached my generation not because it was passed on as a spiritual message from Lal Ded, or as mystical poetry that the local singers would sing in temples and shrines while having their egotistical souls merged with Shiva...but simply because as kids almost every Kashmiri played a simple game of 'missing fingers' to those lines. These lines that the kids would sing would of course morph into many variant contending lyrics in which certain words change. For kids it is limerick. It is fun. And Lal Ded to me is not an anti-fun person. She wouldn't go around slapping young kids on the wrist with a stick for mis-phrasing her Vakh or having a little laugh. Does that play of children demean the greatness of Lal Ded? What logic! I guess I understand why Lal Ded always made fun of people who stuck to written words and made claims to final absolute truth. No wonder she took a piss in a temple just to poke fun of the brilliant men who claimed god is everywhere while playing in temple all the time. You know that story, right? Those lines of mine were meant to emphasis a little phenomena from Kashmir in which old saying, songs survived because they were passed on to children as meaningless lyrics...whose true meaning they might catch when they get older. A phenomena that is noticed in many other cultures...when children play to 'Ring-a-ring-roses' do you think they care if those lines are or are not a reference to Great Plague in London of 1665. Search around this blog and you would find many more lines attributed to Lal Ded that got transformed by Kashmiris into fun lines for children, riddles. And I claim that not on my authority but based on my experience and based on writings of older pundits. We were in a discourse and heard the Gayatri Mantra in different ragas n meters of the olden times. The one that struck us was when it was sung as " saam-gaan" (as per the Samved way) and it sounded exactly like our Henzay wanvun. No wonder our elders n ancestors used to be so particular about the wanvun in Mekhla, Devgon , Lagan etc etc. How beautiful it is to be invoking & inviting Gods blessings at such divine moments with such an authentic vibration of sound. Master Zind Koul in his devotional hymn to his Guru says " vaeni ta'sinz vignyaan-mai, zan'h Saam gevnas paan dai "